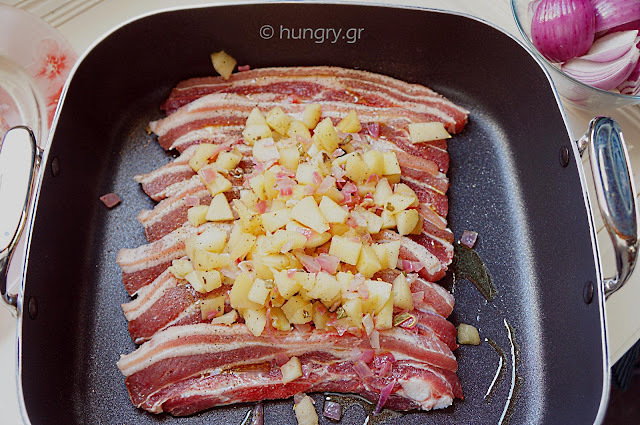 ~1.5kg (3.3 lbs) pork belly "raw" pancetta that need to be cooked before eating. 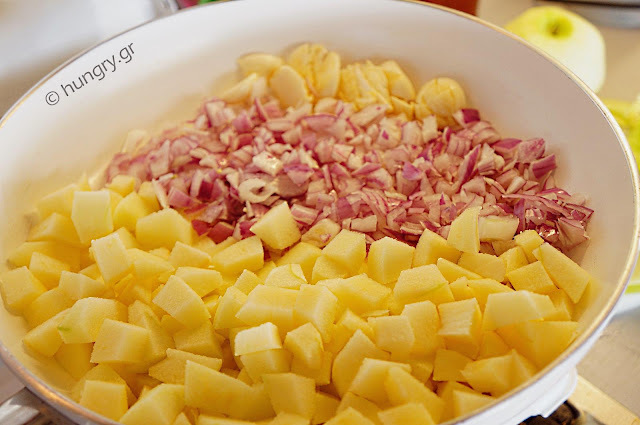 In a large frying pan and onto a medium heat, add 2 tablespoons oil, garlic crushed with the blade of a knife, chopped onions and apples peeled and cut into large dice. Stir and saute for 7'-10' to polish onion caramelized and the apple softened slightly. Sprinkle with sage, vinegar, salt and pepper and remove from the heat. 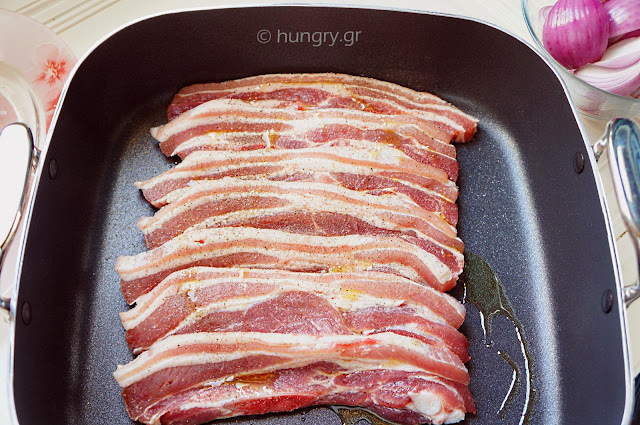 In oven pan pour a tablespoon of oil and place the pancetta next to each other. Salt and pepper. From the top pour the mixture of the frying pan. Fold the pancettas in two to cover the stuffing. 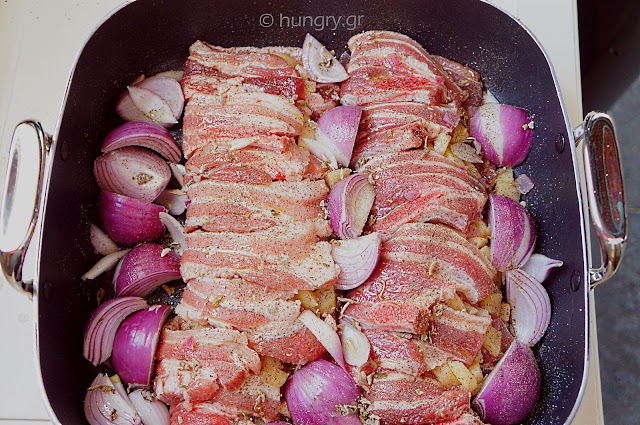 In the gaps add the onions, sprinkle with a little olive oil, sprinkle with sage, salt and pepper. Bake in a preheated oven at 200℃ (392℉, Gas:5.7) for 30' until browned. Reduce the temperature to 180℃ (356℉, Gas:4.2) and bake for another 30 minutes. In between turn them on the other side and add some apple juice or water. 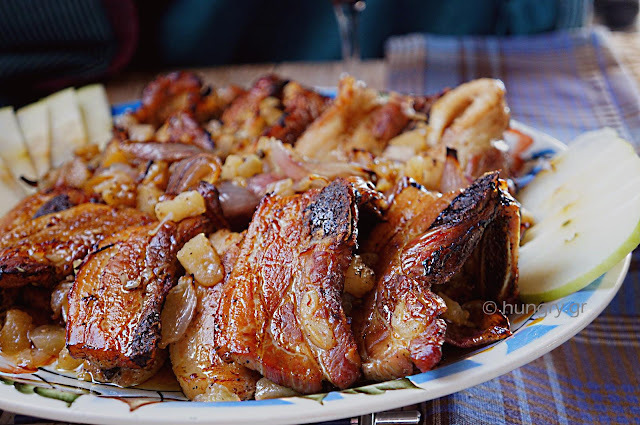 Sour tender chops in the oven, crisp and delicious, with mixtures of aromatic spices. 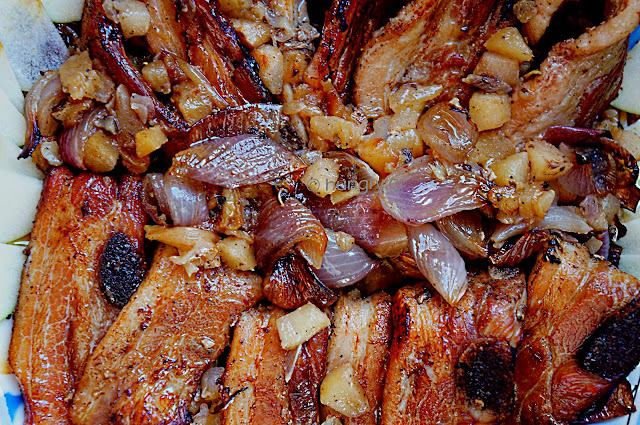 Marinated in a mustard molasses glaze, which gives them great color, color almost caramel and naturally flavor. Accompanied by sesame baked potatoes in the oven a version where we can enjoy immersing in molasses sauce / mustard. This, consumed strictly with hands and straight from the oven. Not forgetting their companion, a strong wine red. Roasted chicken drumsticks on the grill or baked in the oven can be tasty and juicy enough if we marinate them in spicy ingredients. 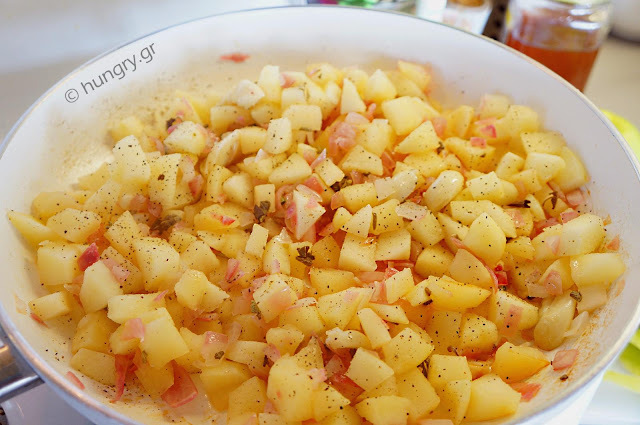 For us the best accompaniment to this dish is the French Fries (fried potatoes). 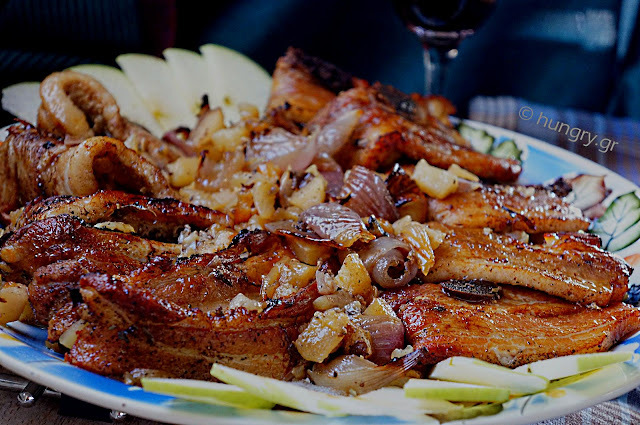 Tasty and easy to prepare the dish, which can be done with any pieces/parts we prefer from the chicken: breasts, thighs, wings. Chicken Wings with aromatic Jamaican touch! 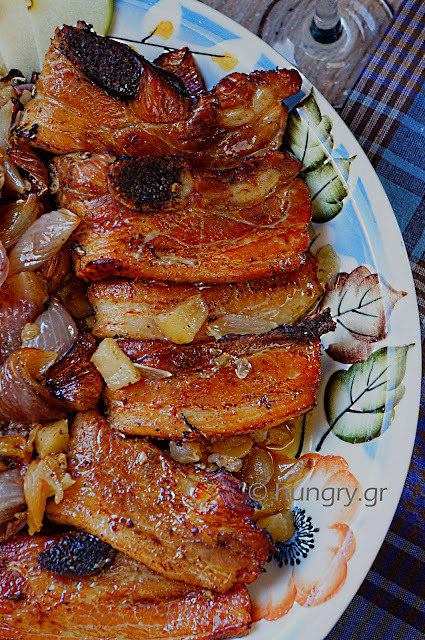 Delicious, easy and frugal dish. 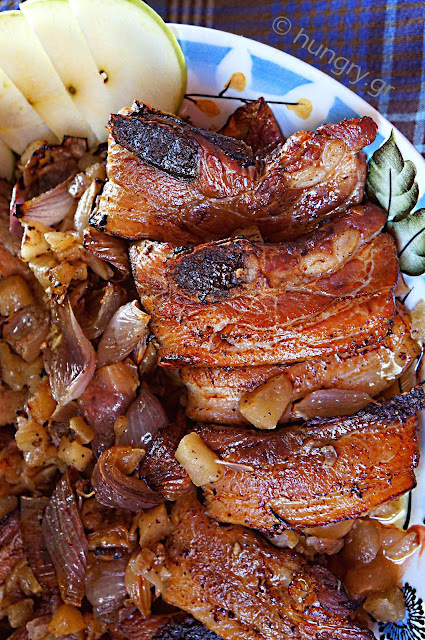 Grilled wings in the oven, very tasty thanks to the blend of spices, which gives them a spicy and exotic flavor. Easily made and perfectly matched with Oven Fried Potatoes. Feel free to eat with your hands for more pleasure. In this dish, the deviations from the "savoir vivre to table" allowed! If you are convinced with this description, try them, you will not regret it.